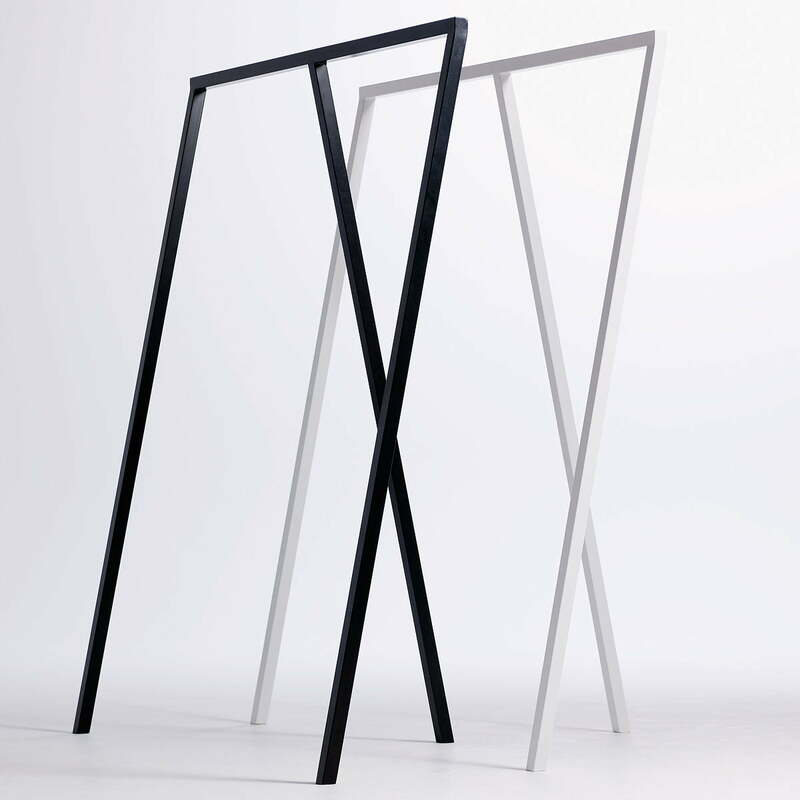 The Loop Stand Coat Rack was designed by Leif Jørgensen for Hay. The Loop Stand series includes simple, functional furniture at affordable prices and is continuously being expanded with new models. 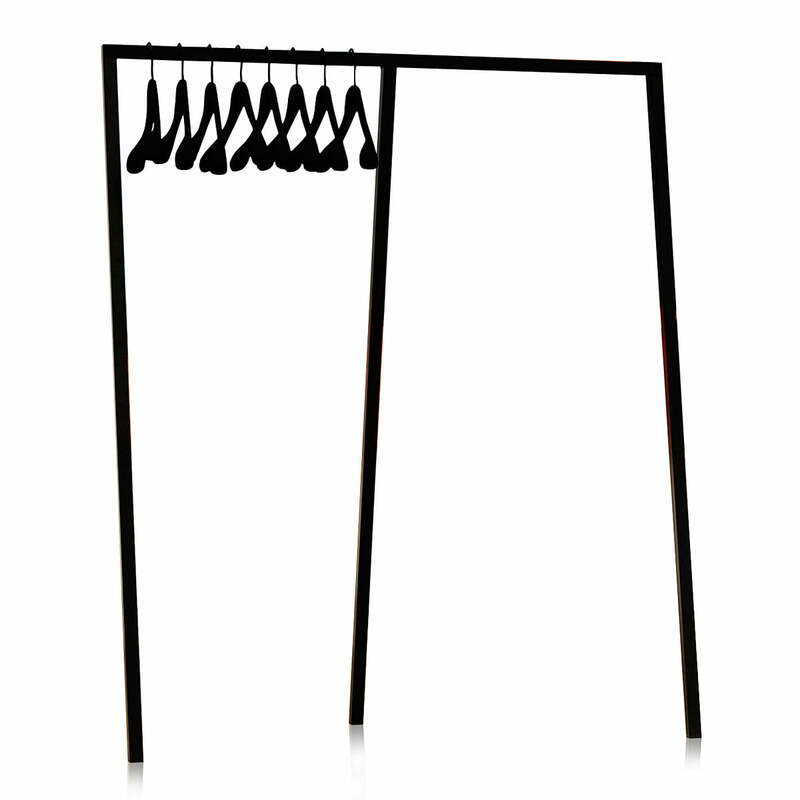 Inspired by traditional industrial trestles, the Loop Stand Coat Rack has a simple design which highlights graphical and spatial features. 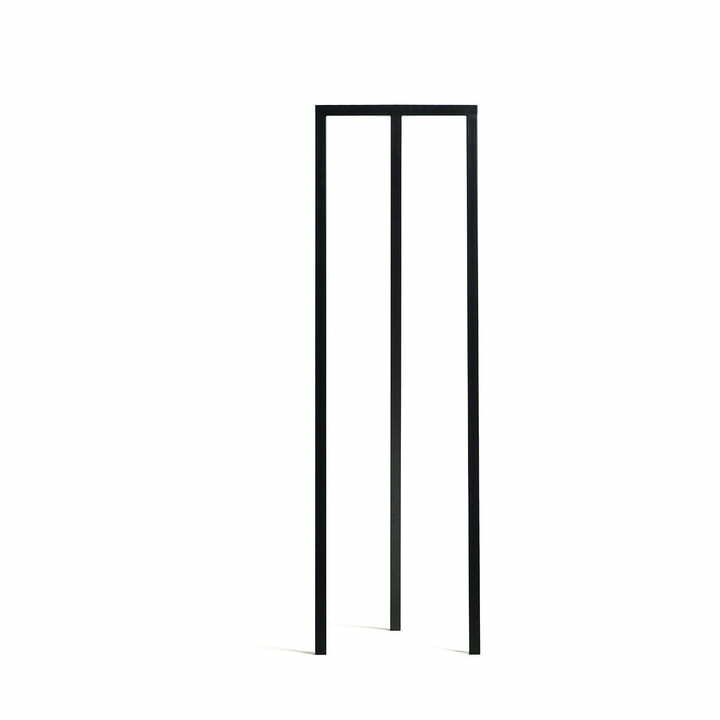 Loop Stand "Hall" & Loop Stand "Wardrobe"
The three-legged hall stand is a simplification of a sawhorse as used in industrial settings. 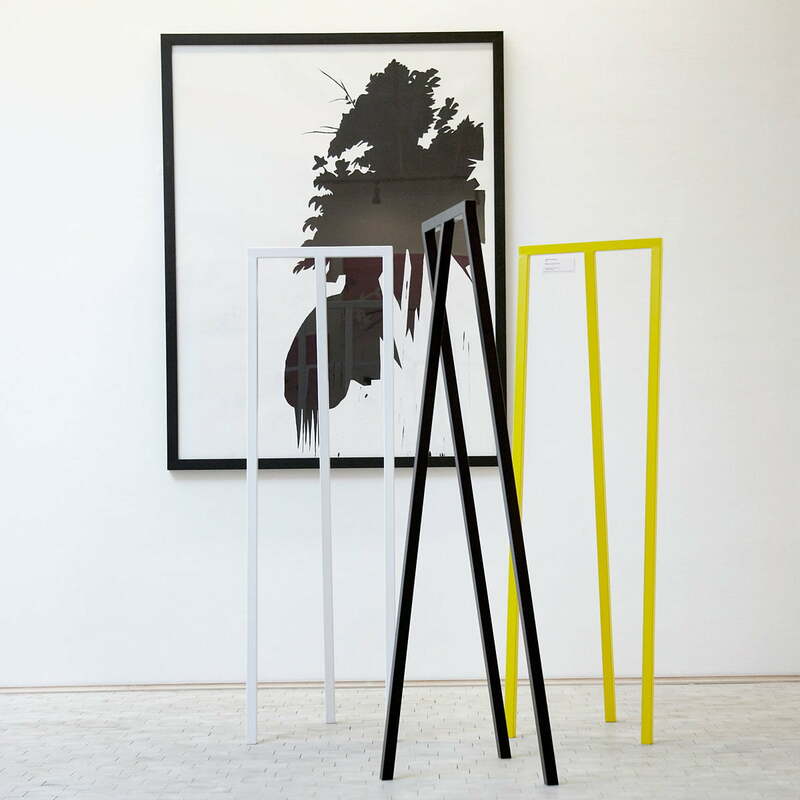 It is made of powder-coated steel and available in two different sizes. 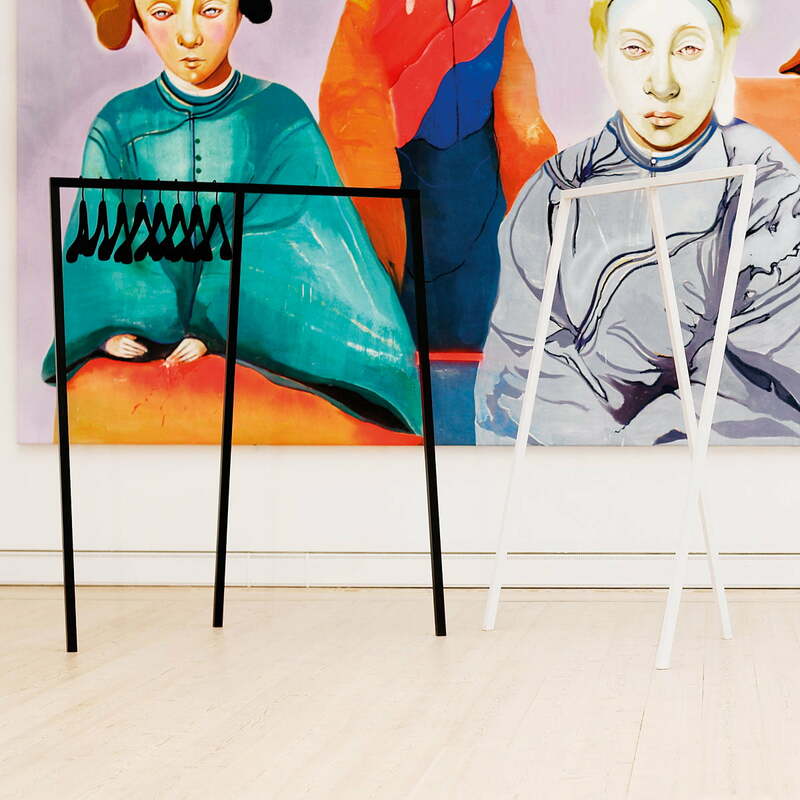 The smaller one is called "Hall", while the larger is called "Wardrobe". 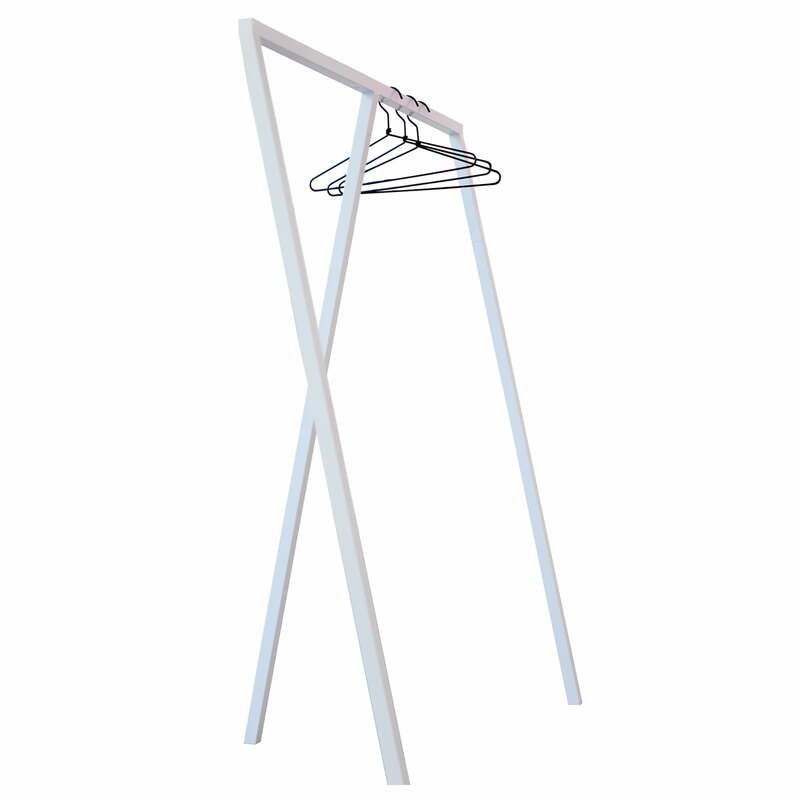 On the cross bar supported by three legs, you can store jackets, shirts and other clothing on hangers without a problem. 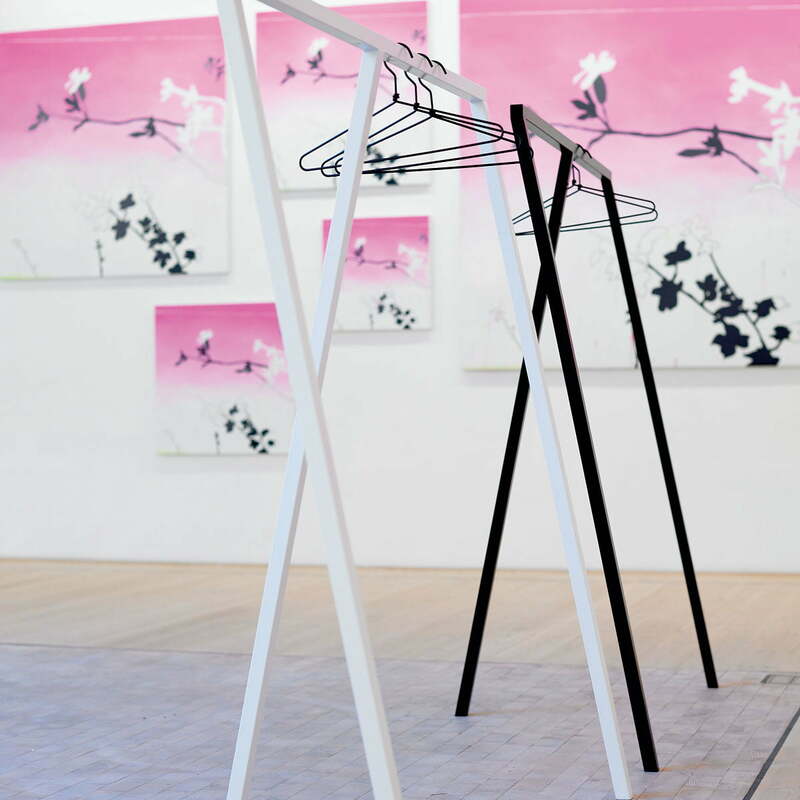 The Loop Stand Coat Rack is directly related to the Loop Stand Trestles, which were originally designed for the "Storm" art and fashion boutique in Copenhagen, where Leif Jørgensen was responsible for the interior design. 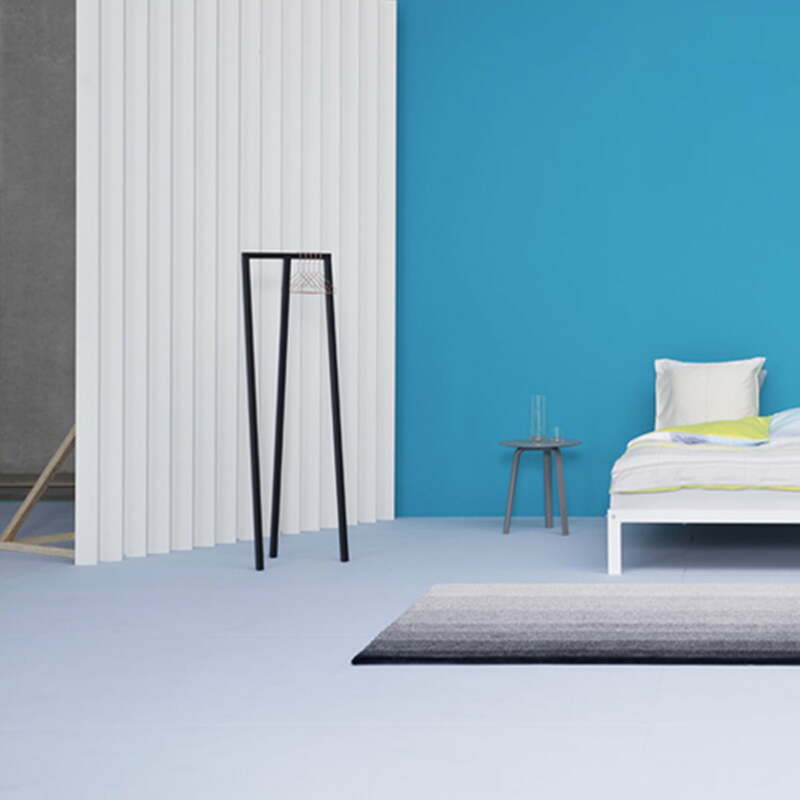 With its timeless beauty and clear Scandinavian design cues, the Loop Stand collection blends in perfectly with the exclusive collection by Hay, from Horsens in Denmark.